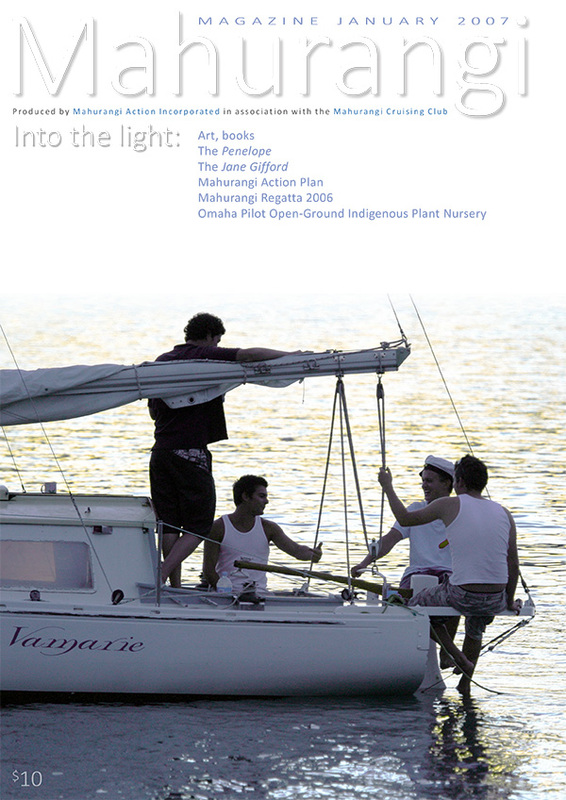 The magazine is based in the Mahurangi, but aimed also at the harbour’s regional audience, most of which resides farther south, in the Makaurau metropolis. Founding editor, Cimino Cole, conceived the Mahurangi Magazine as a means, in concert with Mahurangi Action and other stakeholders, of helping restore the sense of Mahurangi community that existed when the harbour was the local highway, and to give expression to the aspiration held by all who love her—to see the outstanding natural beauty of the harbourscape endure. As their production editor, Cimino has helped two important publications see the light of day: Jade River: A History of the Mahurangi by Ronald Locker and Changing Times by Kit de Latour. But if Cimino has a preoccupation with history, it is with how the baby boomers’ children’s children will judge his generation. Did it have the vision and courage do more than business as usual, while the time to drastically reduce human impact on the planet was frittered away? The use of the magazine metaphor for the Mahurangi Magazine is a deliberate signal that the articles are intended to be enjoyable, not just informative, and definitely not preachy—to be devoured as a printed magazine article is devoured, in one sitting. It is no longer sustainable to publish periodicals on paper—it borders on the irrational, post irrefutable proof of anthropogenic global warming. The E-word’s here and the E-word’s good.